I have been working a lot on book deadlines over Christmas vacation, so as a consequence I was not blogging as much as I might have liked. With that work behind me, however, I thought that I should write about just what I have been doing. First off, I have received some copies of Carolyn Wells' recently reprinted 1936 detective novel Murder in the Bookshop, Book 50 in HarperCollins' Detective Club Crime Classics series (to which I wrote the introduction eleven months ago). 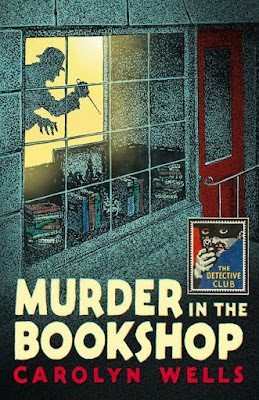 It's a lovely book, with its superb original jacket sign reproduced, complete with a rare Wells short story, "The Shakespeare Title-Page Mystery," to go with the novel--a fitting combination, since both tales revolve around bibliomania. One of America's most popular mystery authors during the Golden Age of detective fiction, Wells, about whom I have written a goodly number of times, made quite a lot of lucre from mystery writing and was able to indulge her own bibliomania. At her death she bequeathed her valuable Walt Whitman collection to the Library of Congress. I was greatly honored to be asked to participate in this HarperCollins series and I hope that it may continue. 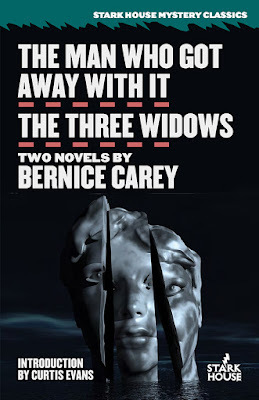 Readers of this blog may recall that I wrote about California crime writer Bernice Carey a few times last year. 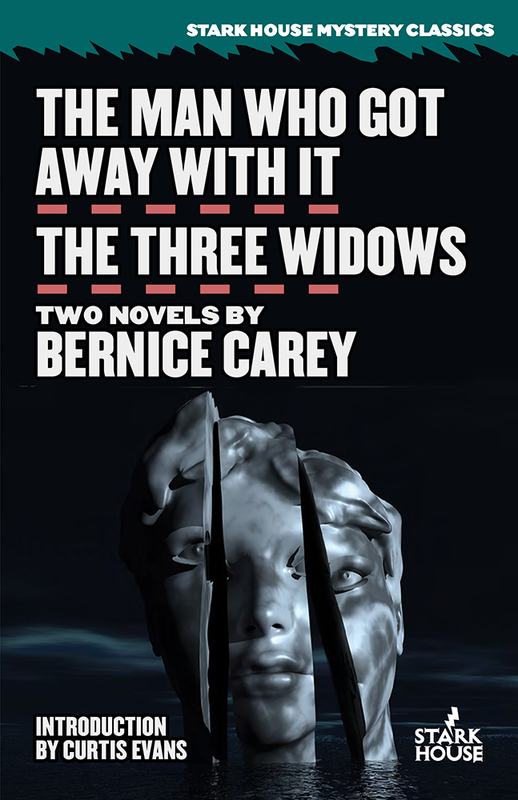 Now I can announce that a new edition of two of her novels, The Man Who Got Away with It (1950) and The Three Widows (1952), will be published by Stark House this year, with an introduction by me and back cover blurbs by, among others, noted authorities Anthony Boucher and Xavier Lechard. Stark House is also doing a "twofer" by Carey's crime-writing contemporary Jean Potts, with an introduction by John Norris, so it's looking like another good year for mid-century women crime writers at Stark House. I think yet more will be in the offing too, all in good time. Next, I co-edited and wrote an introduction to a new Crippen & Landru edition of short stories by my vintage mystery besties Richard Webb and Hugh Wheeler (aka Q. Patrick, Patrick Quentin and Jonathan Stagge). This is The Cases of Lt. Timothy Trant, which collects all the known short form investigations of Webb and Wheeler's posh and perceptive police detective--22 in number, including a novella, novelette and a score of short stories. 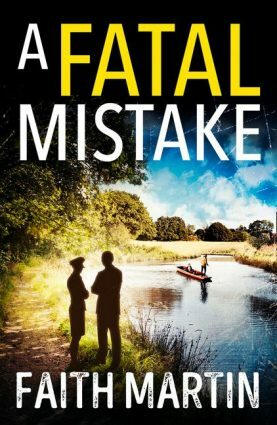 It's an impressive collection and one most certainly that fans of the keen crime writing couple--and fans of fair play puzzle detective fiction generally--should very much enjoy. Anthony Boucher urged the publication of a Trant collection over half a century ago. It was fun indeed working with Doug Greene and Jeff Marks on this one. The book was supposed to come out last year, but late in the day we found a new Trant story from an English source located by indefatigable Tony Medawar and I located a 1940 Trant novella, which appears to have been the sleuth's debut appearance in short form. Also included in the book is a pic of Rickie and Hugh around 1940 with their Scottish terrier, Roddy. There will be, I hope, several more Webb and Wheeler short fiction collections to come from Crippen & Landru. You're one of the Doyens of this Renaissance Period, Curt! Just out of curiosity... is there a crossover story, like Black Widow, in The Cases of Lt. Timothy Trant? Because I would welcome another collaboration between Lt. Trant and Peter Duluth. No such luck! In fact Duluth and Trant had their final short fiction cases published in 1955, without ever having come together in short form. I think Webb was a driving force in doing the short stories.